U.S. Air Force photo by Master Sgt. Donald R. Allen [Public domain], USA Government produced, so you see, the Government benefits you. EDITORS NOTE: Here, our author first cites excerpts from two articles, then begins his own. After 17 years in development, the Department of Defense's (DOD) F-35 program is approaching its full-rate production decision, when it will commit to producing 77 aircraft or more per year over the next 12 years. With estimated total acquisition costs of over $406 billion for the entire program, this upcoming milestone will require DOD to commit more of these resources to producing the F-35 Lightning II-also known as the Joint Strike Fighter. The project is over 8 years behind the original schedule and development alone was $20 billion over budget. The purchase prices are over budget and the maintenance costs are over budget. The military services will also incur substantial sustainment costs once they acquire the F-35 aircraft. In October 2017, the GAO found that DOD did not have insight into the program's total sustainment costs, estimated at over $1.1 trillion over a 60-year life cycle. The F-35 program office saw little improvement in reliability and maintainability over the past year. 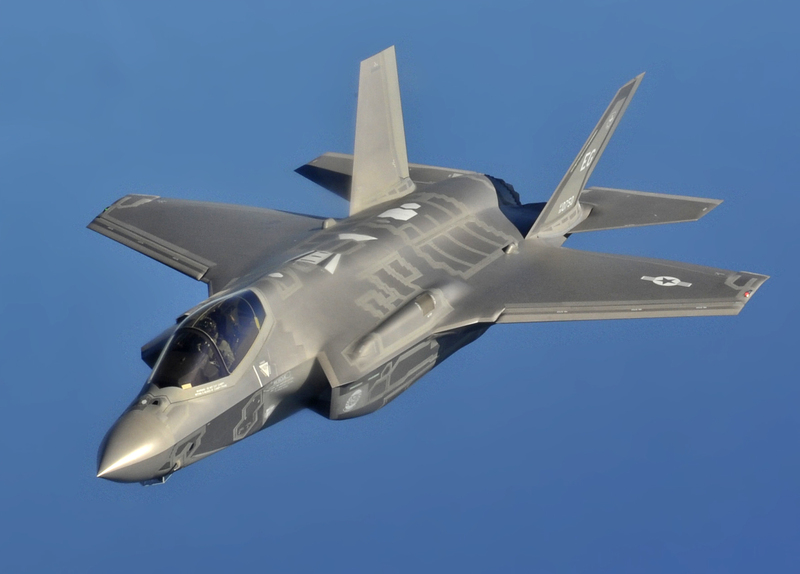 The Center for Defense Information at the Project On Government Oversight (POGO) obtained a document showing how F-35 officials are recategorizing-rather than fixing-major design flaws to be able to claim they have completed the program's development phase without having to pay overruns for badly needed fixes. Several of these flaws, like the lack of any means for a pilot to confirm a weapon's target data before firing, and damage to the plane caused by the tailhook on the Air Force's variant, have potentially serious implications for safety and combat effectiveness. POGO also obtained a copy of the Pentagon's previously unreleased plan to control costs that shows the proposed savings may quickly be overwhelmed by the program's rising costs. I'm sure they think "What's a few harmless white lies when billions we want to get are at stake?" By having a strong defense, the US decreases anxiety. Since anxiety can lead to health problems, a strong defense leads to reduced health care costs, contrary to those who think the resources could be better spent directly on health care for people who live in the USA.